The next year we planted ten acres on casabas on newly cleared ground between the flume and the Humboldt Road where the vegetable garden and the Bidwell nursery was for several years. The ground was very rich and we had plenty of water from the flume and of all the melons I ever saw growing those were the best. Bidwell made sure that he would have plenty of melons for himself. Just before the first frost the General had a small slat building built back of the mansion under the trees with wide shelves on each side of the passageway, had straw put in the shelves, then filled with firm casabas and a light covering of straw on top. Poor John! 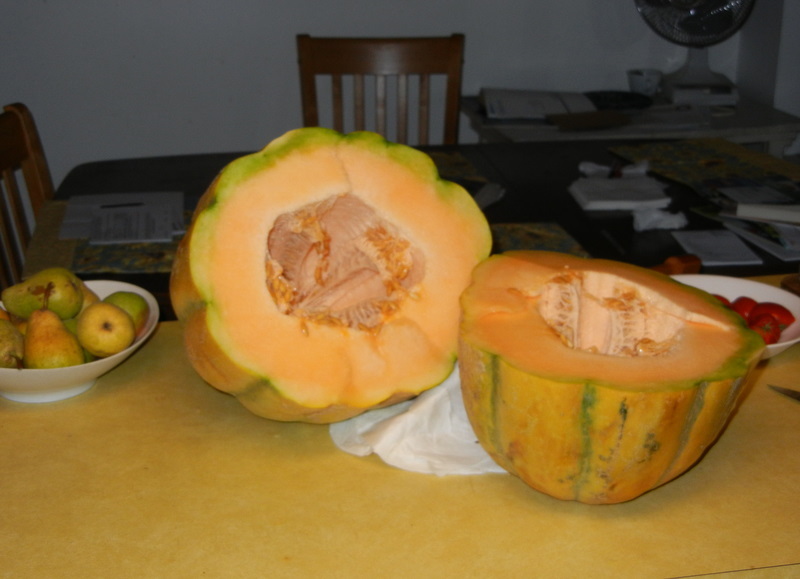 It would be six months before melons would be in season again. This entry was posted in Casaba melon. Bookmark the permalink.